Residential Property - MacHardy, Alexander & Whyte, W.S. We are able to offer full conveyancing and estate agency services to help you undertake the process of buying or selling your house. Our experience and knowledge of the Angus property market enables us to offer you all the assistance you need. Our Estate Agency office is located on the ground floor of our premises at 71 Castle Street, Forfar. Properties which we are marketing for sale benefit from a prominent window display on Forfar's main thoroughfare. All properties for sale with us are placed on our website and can also be advertised with the Tayside Solicitors' Property Centre, ensuring maximum exposure for your property. We can help with the production of Home Reports which are required when selling houses in Scotland. We are able to offer full conveyancing services to ensure a smooth transaction for the sale of your home. We can assist you in finding the best way to obtain mortgage advice for your purchase. 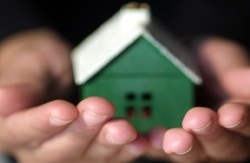 We are able to offer full conveyancing services. We can offer advice on all aspects of your purchase, including the market conditions and purchase price, all matters relating to the title deeds, tax implications and planning. As solicitors in a rural area we can advise you on the particular issues that arise on the purchase of property in the countryside. In all cases, whether buying or selling, we can give you a quotation of the costs for undertaking the work. This means that you know the total cost before proceeding and we can include in this the costs of Stamp Duty Land Tax and registration dues.